A gold nose pin is no more a definition of tradition alone. Nose accessories have turned into a big fashion statement for youngsters as well. A wedding seems incomplete without a traditional gold nose pin to complete the bridal look. 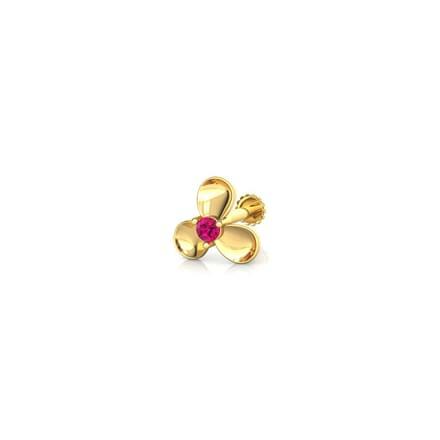 A gold nose pin fits into every occasion, from weddings to parties to everyday wear for women. The tradition of women wearing a nose pin comes a long way through history, and has been accepted well over generations. 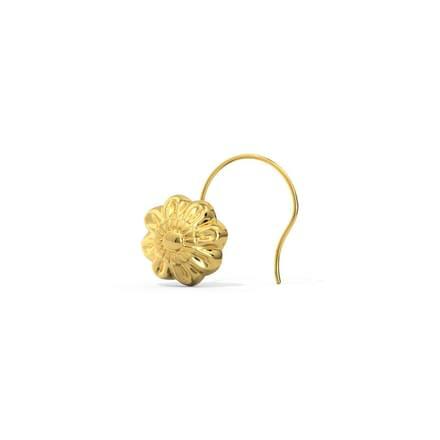 CaratLane jumps into the race with its beautiful selection of gold nose studs available for online shopping. 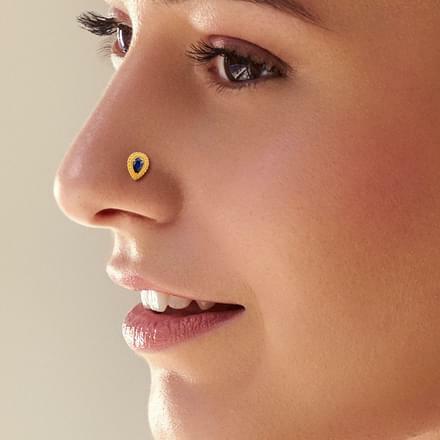 Nose pin designs have seen a major makeover over the time, but its connection to traditional sentiments remains intact. The designs have come from being plain traditional to stylish and fashionable. An attractive nose ring completes a bridal look with ease. 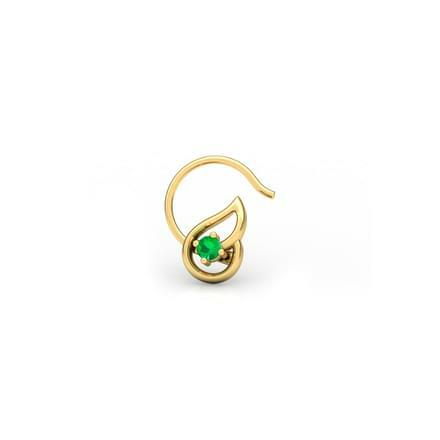 Traditional jewellery often tends to lose its sheen due to changing trends, but a nose pin holds a special place in a woman's ornament collection. 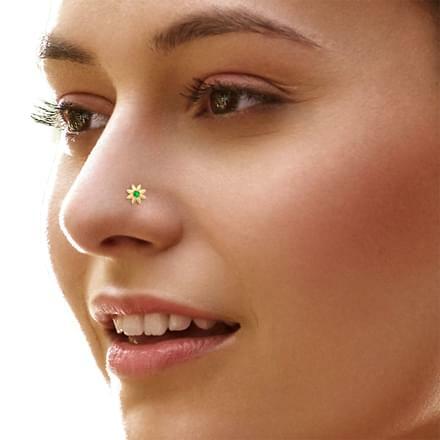 Trendy nose pin designs are gaining popularity among young women as well. 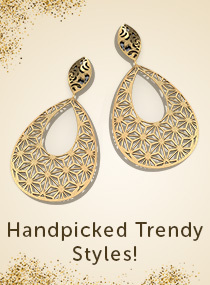 And, CaratLane is leaving behind its competition with the best of gold jewellery designs online. 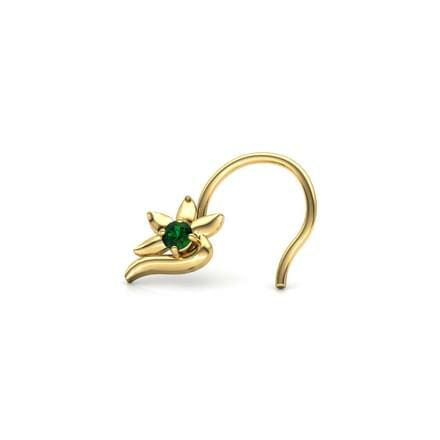 CaratLane offers a stylish yet classic collection of gold nose pins on the portal for women to buy from. 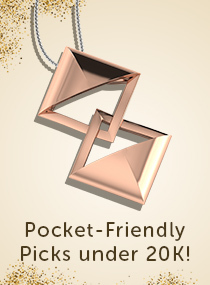 Its collection is at a price range from Rs. 5,000 up to Rs. 10,000. 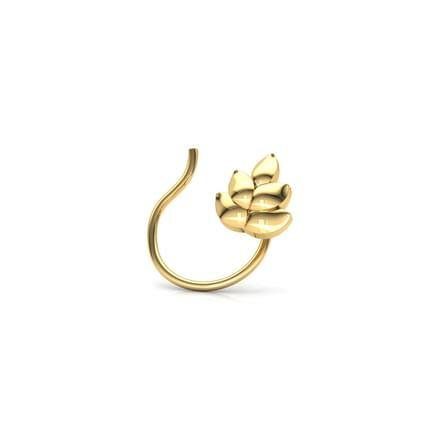 The beautiful nose pins are crafted in 22K yellow gold. Classy gold nose pins are among every woman's favourite designs. 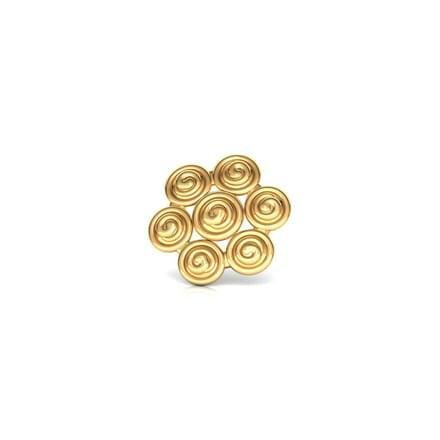 And a nose pin set in yellow gold goes perfectly with a traditional or western outfit. 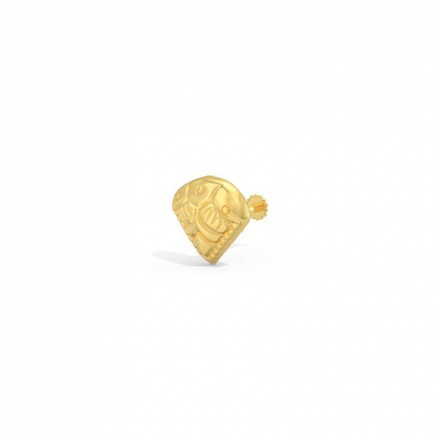 Bold and stylish, CaratLane has some funky designs of a gold nose pin. Its Dhokra collection of gold jewellery is a unique collection which showcases interesting nose pin styles. The Whirl Gold Nose Pin and the Swirl Gold Nose Pin from the Dhokra collection by CaratLane are set in 22K yellow gold and stand out from the huge list of other nose pin designs. 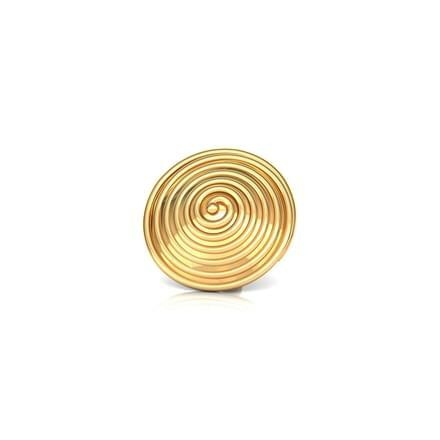 Hooped gold nose pins are a perfect model for traditional evening wear for women. 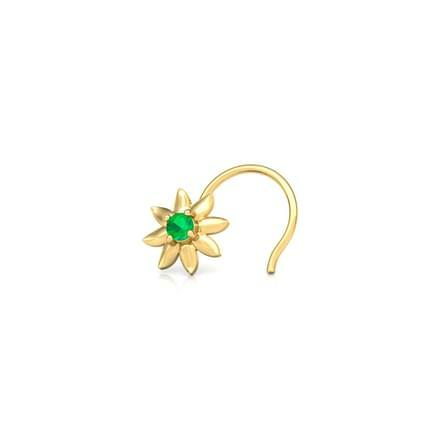 You can buy from a variety of similar designs of nose pins from CaratLane's collection available online. Its Ikat collection showcases very intricately designed yet simple models of a nose pin. The range includes the flawless Beaded Gold Nose Pin and the Miligrain Enamel Gold Nose Pin from the Ikat collection are both set in 22K yellow gold and are truly ethnic nose pin designs. These gold nose pins can also be great to be teamed with a bridal attire. Shop from the Best Online Store! 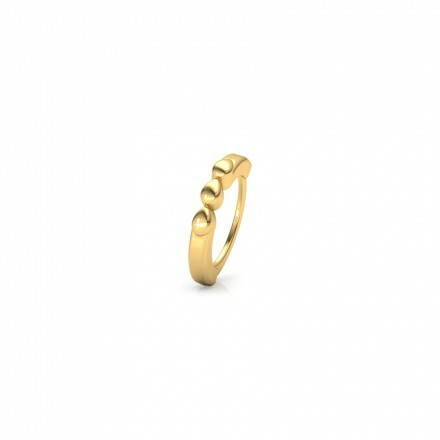 Online shopping for gold jewellery has touched new heights with CaratLane's growing efforts to provide a hassle-free and exciting shopping experience to its customers. 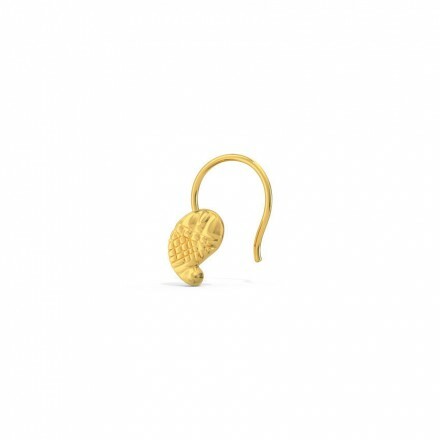 The portal provides the best of quality at competitive prices for its jewellery, which is certified for authenticity by third party international laboratories such as SGL, IGI, BIS, GIA, GSL, GSI and Variety Hallmark. Customers can make online payments through multiple options such as credit/debit cards, net banking or online funds transfers, along with an EMI option for instalments. You can also try the ornaments at home using its Try@Home facility. 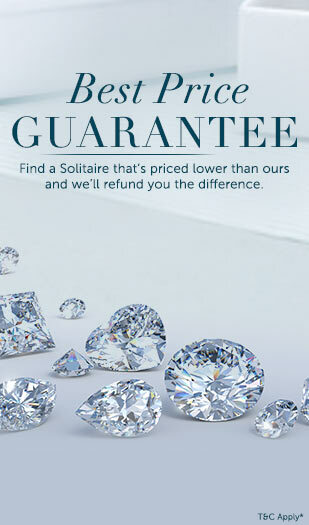 CaratLane also offers the lifetime exchange, buy back or a 30-day free return option for its customers. Go ahead and buy the best from the best!